I started my blog over 4 years ago with the intent of creating an online journal. While writing and documenting my adventures in life, I realized a few things in the process. 1. People were reading. 2. I was enjoying the process. 3. I started to find the connection between myself as the blogger and my readers. That connection is something that many have difficulty understand & conveying to their readers. Sometimes a Brand will reach out and ask: What makes me different? How do I stand out? I can explain to them about my diversity. I can mention to them about my ties to the Latino Community. Or how I as a blogger can help reach out to the masses to create a positive message for the brand. But being a blogger is more than that. Reaching out to my readers is about connection. So instead convey a story about how something specific can be interested into my life or already is apart of my everyday life. I am that busy mother trying to buy healthier, quality foods for her family. I am the wife trying to manage my home plus work full-time. I am that mom at the ballpark every evening watching her kids play sport. And I’m also the woman that’s trying to budget her money so we can take off of work a few weeks out of the year to enjoy each other and have our own connection. Building this connection and conveying a message is something I have learned on my own but more so because of Social Fabric. Through Collective Bias/ Social Fabric I have met amazing bloggers within the community that have given me not only an opportunity but the desire to better myself as a blogger. I have learned how to be a better story tell and convey a positive message without alienating my readers. I’m so fortunate that I will be making my way to the 1st Social Fabric/Collective Bias Conference May 3rd-5th in Bentonville, Arkansas or better known as #SoFabCon. What will I learn? Who will I meet? What will I get out of the conference? Well over 1K bloggers are a part of the Social Fabric Community. As diverse as I am as a blogger, so is the entire Social Fabric Community. Over the last year I have worked in over a dozen campaigns for Social Fabric & Collective Bias. I have met a shop leader that have always welcomed me, appreciated my work, or have given me tips and tools to became an even better story teller. I want to come away from #SoFabCon with more desire to pursue blogging as a business. To learn more about monetization, more on how to make myself stand out during shop selection, and of course more tech info such as WordPress & HTML. But more importantly I want to always learn how to build on the existing relationship I already have with my readers and hopefully draw more readers into my life and blog. Just like Social Fabric is a family in itself, my readers are also my family. And… I want to be a GREAT family member to those around me! 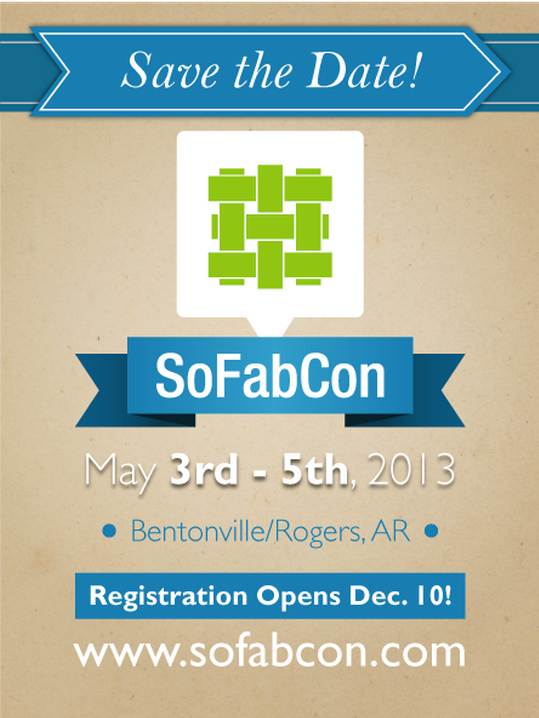 If your interested in SoFabCon you can find more registration information on their site. Disclosure: This post is my entry for a SoFabCon Complete Paid Sponsorship. All opinions are my own & can not be influenced in any way. Good luck, Maria! #SoFabCon sounds like it will be an amazing experience. Awesome video, and I love what you said about the Social Fabric community being like family! Good luck with your entry!!! Thank you liz! I hope to meet you if your also going.